Mexican citizens began protesting the migrant caravan arriving in Tijuana as they attempt to claim asylum in California. The protests turned violent–leading law enforcement to separate the migrants from the demonstrators. This week, hundreds of migrants from a caravan originally starting off in Honduras last month, began arriving to Tijuana as part of the final leg of their journey to reach the U.S. border and claim asylum. 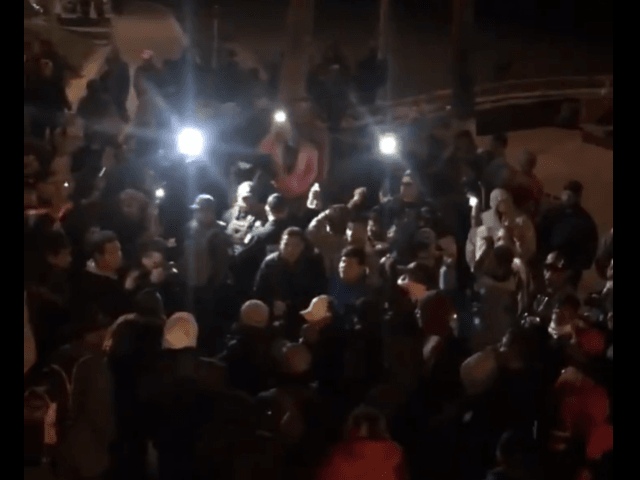 Residents in Tijuana began protesting their arrival by by demanding they leave and shouted “Mexico First,” the online news outlet Victor Cancino News reported. Amid the protest, the migrants from the caravan shouted that they wanted peace and jobs. The protest and counter-protest began to heat up to the point where some individuals from both groups began trading punches. Mexican authorities were able to separate the two groups before the scuffles escalated further. The protests appear to show a growing discontent among Mexican residents towards the caravan, a move that has earned the scorn of various journalists in that country who label the protest as xenophobic and racist.